The Kerr Tar Workforce Development Board announces the opportunity to receive public comment on the Proposed Program year July 2018-June 2019 Development Area Plan. Comments may be emailed to info@kerrtarcog.org stating questions or comments on or before May 30, 2018. To review the proposed plan click here. An agenda can be viewed here for more information. Gray Fullwood of the Diversion and Environmental Crimes Unit with the NC State Bureau of Investigation will be the speaker for this event at the Kerr Tar COG office on May 9th at 2 PM. To read the flyer click here. Congratulations to the Town of Warrenton for being recognized as an Award Winner for the 2017 MAIN STREET AND SMALL TOWN MAIN STREET COLLABORATION AWARD PROMOTION – Discover History Worth Repeating. 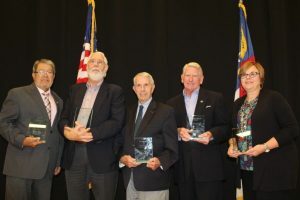 Congratulations to the City of Roxboro for being recognized as an Award Winner for the ECONOMIC VITALITY – Best Adaptive Reuse Project – Hall’s Way. To view the entire Press Release click here. To view the 2017-2022 Comprehensive Economic Development Strategy (CEDS) click here. The Local Update of Census Addresses (LUCA) is the once a decade opportunity for local governments to verify the Census Bureau’s address list for their areas. Accurate boundary and address information is key to connecting Census questionnaires with households and getting the most accurate Census data possible. The LUCA registration period is open now, and LUCA training sessions are scheduled across the state – https://www.osbm.nc.gov/luca-training-north-carolina . New sessions are being added. Please check the schedule regularly for new dates and locations. Local governments may send any staff to the most convenient LUCA session to learn the details of the program. The sessions are free and will last 3-4 hours. Attendees should complete the LUCA Training Notification document at the bottom of the online schedule to make sure materials area available for everyone. You may attend a LUCA training session regardless of your local government’s registration status. See the participation map for current LUCA participation in North Carolina. Visit the Census Bureau’s LUCA website for more information and registration materials for the LUCA program – https://www.census.gov/geo/partnerships/luca.html . Kerr-Tar area counties and municipalities are encouraged to apply for planning assistance through the EPA’s Healthy Places for Healthy People. The agency has scheduled a webinar for interested applicants on October 13 at 1:00 pm Eastern. The application deadline is 11:59 p.m. Eastern Time on October 25, 2017. Edgar Smoak of Granville County – Outstanding County Elected Official, William Tatum of Youngsville, Outstanding Town Administrator, Joe Shearon of Louisburg, Outstanding COG Board Member, Michael Inscoe of Henderson, Outstanding Municipal Elected Official and Debra Weary of Granville County, Outstanding Clerk to the Board. 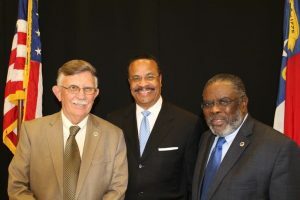 Vice-Chairman, Jimmy Clayton of Person County, Chairman, Quon Bridges of Oxford, and Treasurer, Sidney Dunston of Franklin County. There will be a Public Hearing in Raleigh on October 24th regarding Waste not being discharged into surface water rules. For more information see this link. Additional information regarding the public hearing here. The full NC Register report can be seen here.